On Sunday we all went to hear Mr. Grasty preach. He gave us a very severe sermon against dancing. Willie Lewis came and brought us a letter from George. Bob Saunders was shipped. Willie has a furlough of ten days. Mr. Miller and Beverly Whittle came. On Monday Brother James and his company left. On Tuesday Cary and Brother Gilmer went away. I never felt so sad at parting with my brothers. What dear, noble fellows they are! We spent the day very sadly. I read, “Marius” – it is not as beautifully written as “Fantine” and “Cosette.” Today I wrote letters and awaited the arrival of the mail, hoping to hear from Mr. Bassett, but I was bitterly disappointed. I felt that my love was freezing and wanted something to keep it alive. I do not know what to think of his not writing. This evening Eliza and I took a delightful ride – I rode Cary’s fine, grey charger; Eliza, Little Dorrit. Dr. Lake overtook us as we were coming home. I did not feel very genteel, having no hat on, but did not mind the Dr. much. There is one good thing about being engaged – it makes one so indifferent. Eliza enjoyed her ride intensely and looked so innocent and funny. I have been gay today. I have laughed more than I have done for months. I cannot help thinking that something sad is going to happen. Breckinridge, Lucy. edited by Mary D. Robertson. Lucy Breckinridge of Grove Hill: The Journal of a Virginia Girl, 1862-1864. (Kent, OH: The Kent State University Press, 1979), 168. 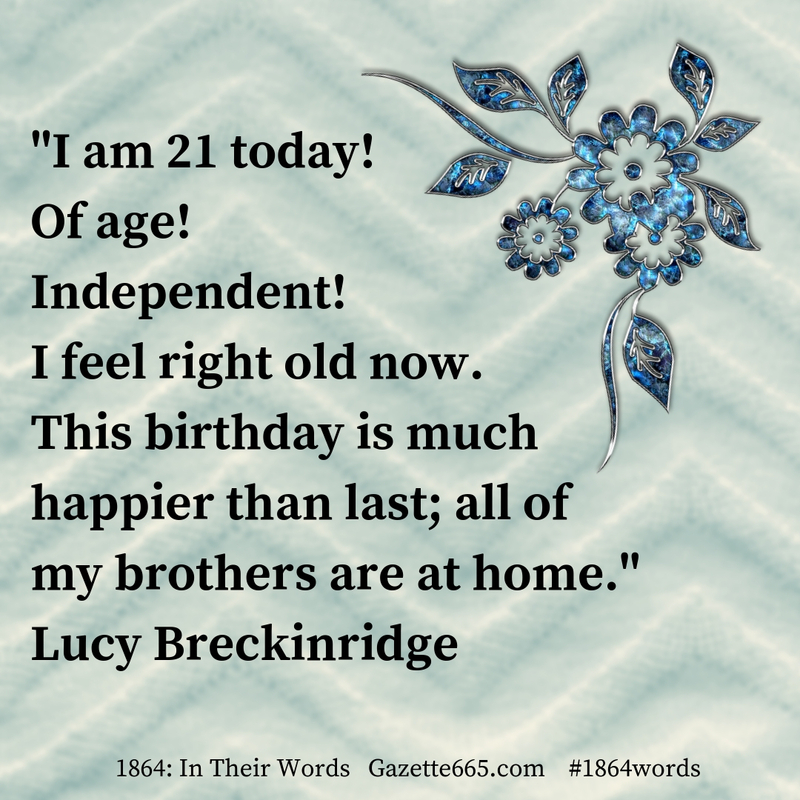 Lucy Breckinridge’s statement in her private journal about her twenty-first birthday reflects several attitudes of the Civil War era. Twenty-one was the year to “come of age” legally. Sure, it meant more for young men than young women, but Lucy took the opportunity to celebrate the milestone. Then, she quickly confessed that she felt old! For young women, reaching certain ages limited their matrimonial chances, at least in conventional society’s views. That particular age threshold between young woman and spinster seemed to vary in different regions and, of course, in different social levelss. Twenty-one year old Miss Breckinridge from a well-to-do family she wouldn’t have to worry about being an “old maid.” She was already engaged in 1864. Though in other diary entries she talked about breaking the engagement to Mr. Bassett, in the end, she married him in January 1865. 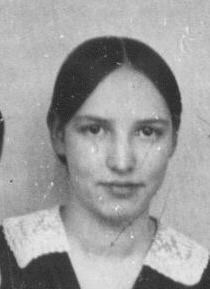 In the Civil War – aside from the societal pressures about age and marriage “chances” – a woman’s age could factor into other important situations. For example, Dorothea Dix, the official supervisor of Union nurses, was very particular about older, matronly women applying to be hospital nurses. The Confederacy also looked for older, responsible women for hospital service. Younger women – however dedicated and capable they might be – were often seen as frivolous or possibly too focused on making a good match to perform serious service. Although the historical record stands up to prove that those views were often wrong! Through Lucy Breckinridge’s two years of journaling in the far southern region of the Shenandoah Valley, readers get an inside glimpse of her worries, dreamers, religious struggles, and daily pastimes. Living in a well-to-do family offered leisure time, and Lucy filled her day with a variety of activities. In this short excerpt, she mentions going to church, entertaining, writing letters, reading, and riding, and apparently writing in her diary. Her record and hints reveals that she read some large books. In January 1864, she was reading Victor Hugo’s Les Miserables. How do we know? Well, that book is divided into sub-books that are titled Fantine, Cosette, Marius, etc. etc. Presumably, she had also read Charles Dickens since one of the family’s horses had the name of one of his leading characters – Little Dorrit. Certainly not all young women had the leisure enjoyed by Miss Breckinridge. Others faced involvement directly in the war – by choice or by default. Some worked in factories, shops, or private homes. 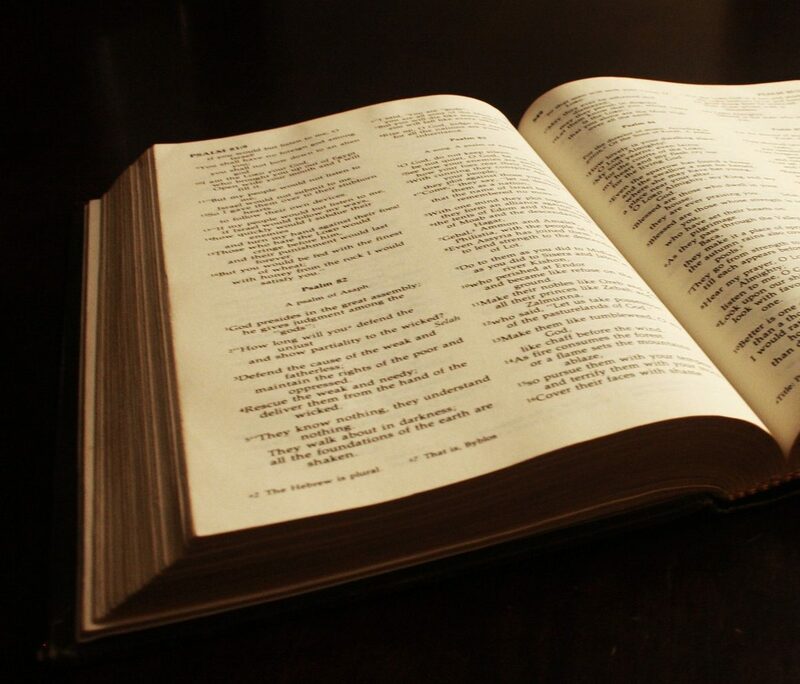 But a few lived the idealized life with time to enjoy the finer arts, literature, and pastimes of the era. Lucy writes that her brother left “the Institute.” Those words jumped off the page to me. I’ve spent a couple years looking at primary sources and records connected to Virginia Military Institute which is often called “the Institute” in regional writings from the Civil War era. So…I had to take a break from the civilian musings and go see if George Breckinridge had been a cadet. A quick search in VMI’s online records and presto! George Breckinridge (and verified by the same parents as Lucy’s records) attended the military school from July 1863 through the end of January 1864 and his academic notes even say he left at his father’s request. I just love it when historical threads tie together and research can be cross-checked. Here, we have Lucy’s journal entry and records from VMI all adding up to tell the same story of a discontented teenage boy making an escape from school with his father’s permission. Now, if we could just find his letters to his family. Those are probably priceless gems of boyish complaining! What is the next book club title? We’re taking a little break from book club and going traveling on Wednesdays. The next read along will be Sarah Bierle’s “Call Out The Cadets” later in the spring. And yes…we’ll make sure you get a heads up to get ready! Whew! The other book did not show up until you were almost through with it. I read it tho! !